Richard specialises in corporate and commercial law. He has extensive experience of advising local and national clients on a wide range of matters. 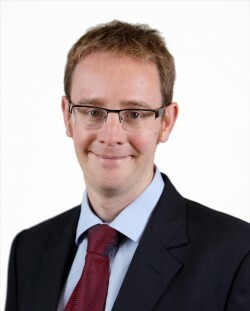 Richard graduated in Law from King’s College London in 2000 and worked at the High Court and in Vancouver before joining Leathes Prior in 2004. He trained with the firm, qualifying as a solicitor in 2006 and becoming a Partner in 2014. Richard is the firm’s Compliance Officer and a member of the firm’s Management Committee. Richard's expertise includes: advising on buying or selling businesses and companies; group restructuring; shareholders’ agreements; share option schemes; and general company, commercial and contractual issues. He aims to provide prompt, straightforward and practical commercial advice. Richard's approach is to work hard to understand your business and objectives so that he can help you achieve your aims and manage your legal risks rather than telling you what you cannot do. Richard is also a Notary Public, which means that he can assist with authenticating documents for use overseas. Great Results, Good Value and High Integrity. Richard helped me through an MBO and gave solid level advice throughout the whole process, giving me time to reflect and move forward at my pace. I will be using Richard for all other matters in the future. Highly rated. He got to the key points of the matter quickly and was very clear about the key areas to focus on. Richard as a rising star and clients have said that he is an excellent commercial lawyer and would recommend him to anyone in need of corporate advice.